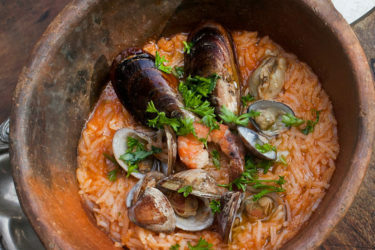 Make this classic Spanish dish at home and use it as an excuse to host a tapas dinner party! 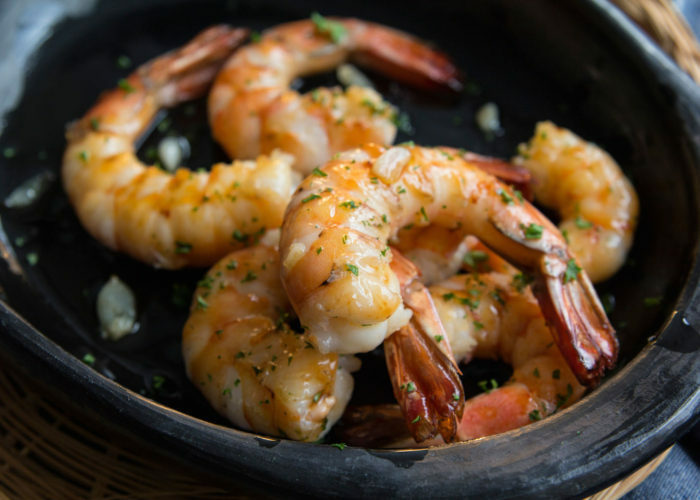 Gambas al ajillo is a traditional Spanish dish that can be enjoyed as a main dish or tapa (appetizer). You can find it served in typical bars and taverns throughout Spain, which is why there are many variations (like this one) that differ in ingredients and preparation style, according to the region. 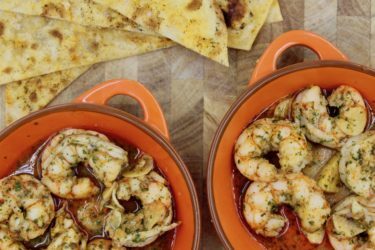 Its flavor can be described as garlicky-shrimp with a spicy kick. 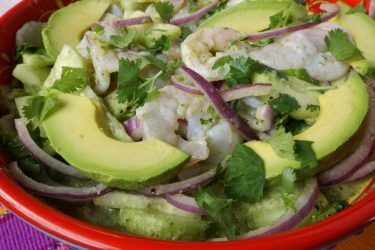 It's particularly delicious when fresh out of the kitchen and if accompanied with bread to dip in its sauce. This is a simple, traditional recipe but it has a twist: a brandy flambé. It's easy to make once you get the flambé part down, and really tasty! Heat the olive oil in a skillet, on medium-high, and add the garlic. Cook for about 10 seconds until it begins to float in the oil and make bubbles. Add the shrimp and cook on high for about 1-2 minutes, or until they turn pink. Do not overcook or the shrimp will toughen up. Add the chile pepper and stir. Add the brandy and flambé for about 20 seconds. Add the parsley, salt to taste, and serve hot off the skillet. Enjoy!